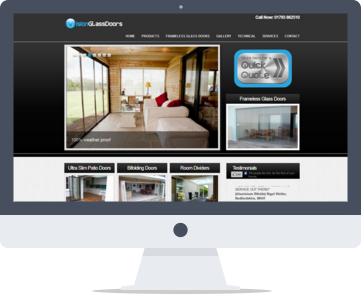 Vision Glass Doors are designers, manufacturers and national installers of a patented frameless glass door system. Having seen some of the work we had carried out in similar industries Vision Glass let us take full control of the project to give them the best return on their investment. We designed a new website, launched both SEO and AdWords campaigns, along with branding and logo design. The design is wordpress so the Vision Glass can now easily make amendments to the content when required.